The 260-day Tzolkin calendar was a gift of the prophetic Maya to the people of today. 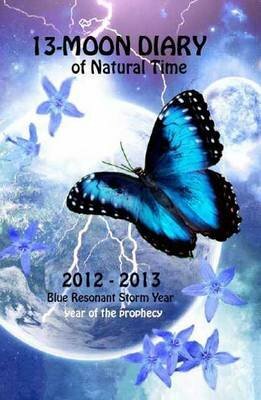 It is a tool to synchronise to the changing energies and transformation of 2012. In the Tzolkin calendar each of the 260 days has a specific energy attached to it. Each day has its own 'face', its identity or character, which influences its events, a person's luck at the moment, or even his fate. Visionary Jose Arguelles translated this old Tzolkin calendar to a world-wide usable13 Moon, or Dreamspell Calendar, which holds real meaning and which should replace our traditional calendar. The Tzolkin calendar helps us to re-align ourselves with the natural cycles of nature and time. In these hectic and stressful times, this ancient calendar can be a useful tool in guiding our day-to-day living in a fun and productive way. The 13 Moon Calendar even enables us to heal the past and positively influence the future. The diary is an easy-to-use day planner in which you instantly glance what day it is according to the Gregorian calendar, as well as the 13 Moon Calendar. You can learn about the day-energies and plan your activities accordingly. All 13 Moon tables are included. Naturally, it has all the features of a contemporary diary, including a moon planner, when-is-when calendar and menstrual cycle calendar. This diary is produced with loving care, in full colour, featuring beautiful illustrations and allowing space for note taking.